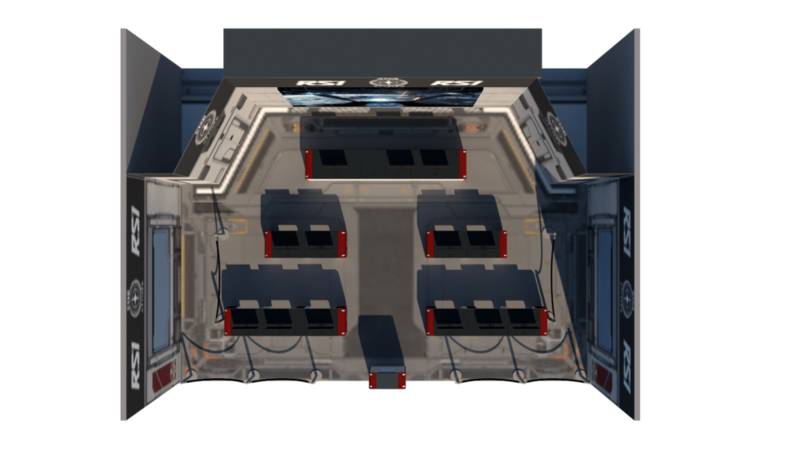 The first step was to produce designs based on outpost assets provided by RSI. With strict layout rules laid down by the event venue we managed to fit 10 gamers desks and a large desk at the rear for upto four streamers. It was important to maximise space as much as possible, plus knew there would be loooong queues as people waited patiently for the first view of the much antipcated 3.0 release. 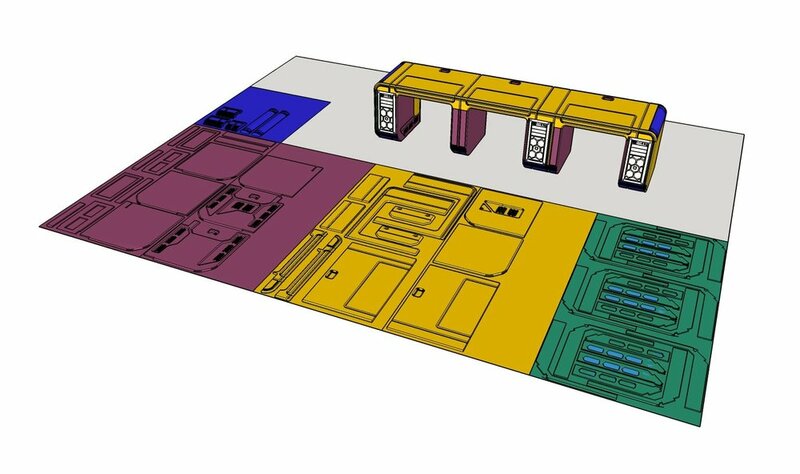 From these initial designs, I produced renders to lay out colour palettes for the end look of the desks to fit with the in-game brand. 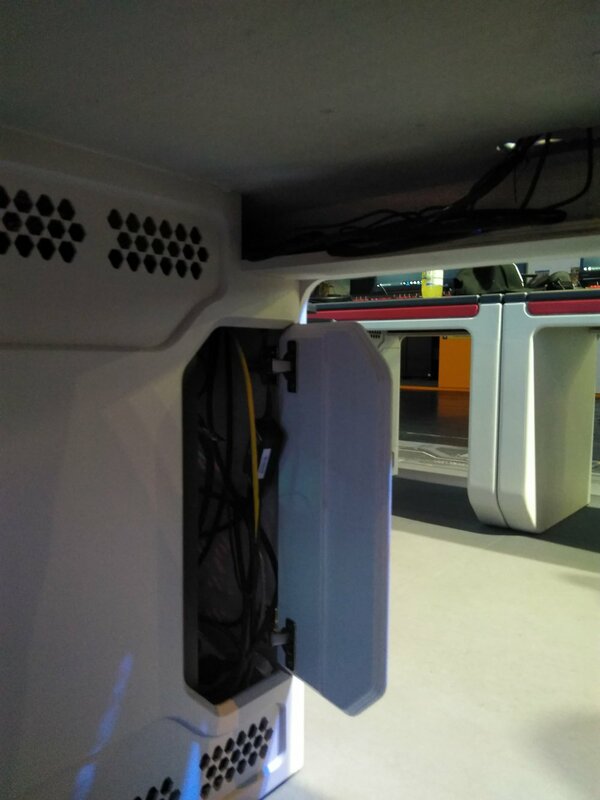 The PCs were going to be running all day and therefore good airflow for the cases was going to be vital for the desks, as well as tidy cable runs to make the desks both beautiful but also functional. Although they are "only desks", to make a piece of furniture this accurate takes a lot of parts, in this case a combination of 18, 12 and 9mm birch ply. This many desks was as close to mass production as I ever get lol. It didnt take long for the workshop to fill up as we started to put these pieces together. 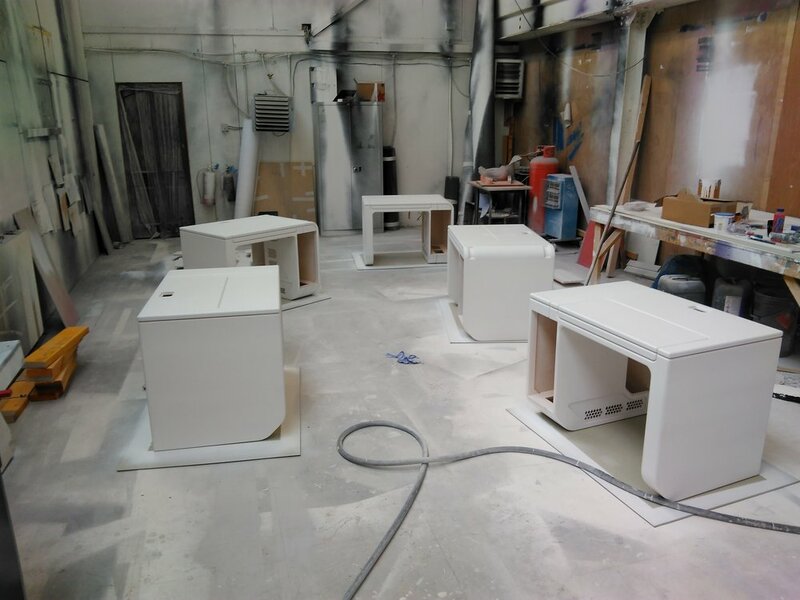 We knew that transport was going to be an issue as well so the desks were designed and packaged to be as space efficient as possible, wit their own pallet crates to make moving them around as easy as possible. 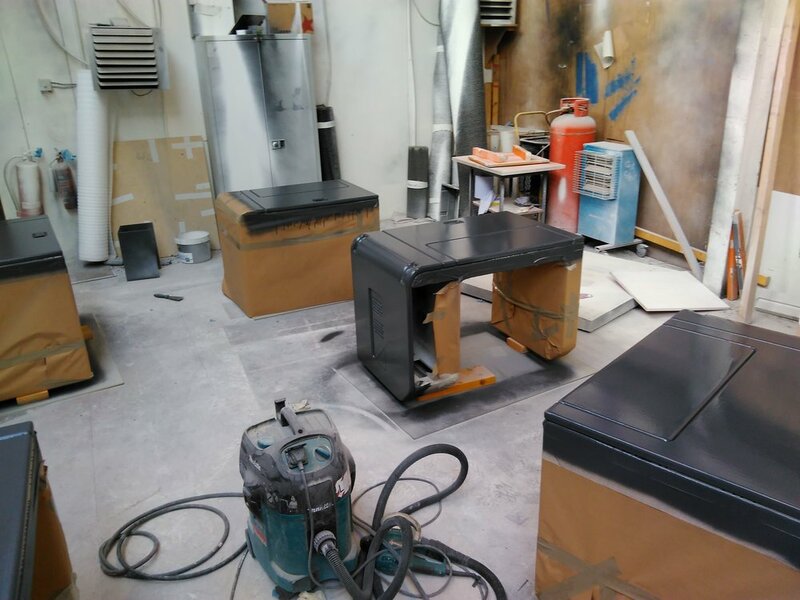 One of the most time consuming parts of spraypainting is the clean up afterwards, so given the tight timescale we needed to be as time efficent as possible, so the production line continued. Additionally the AC2 paint system is fantastic for durability but it is not the easiest system to work with as its thinner base melts whatever masking is used very quickly, so speed is vital. 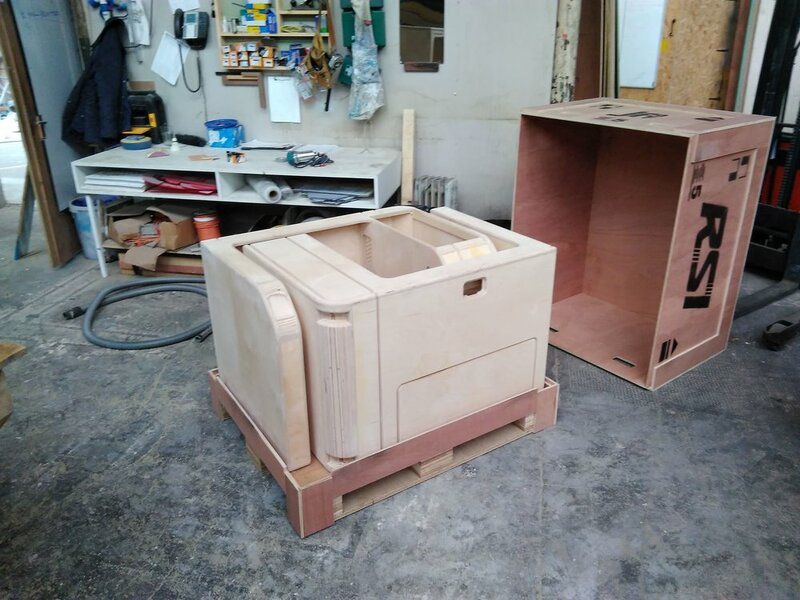 28 days after the go-ahead we had desks in crates and were ready to head to Cologne. 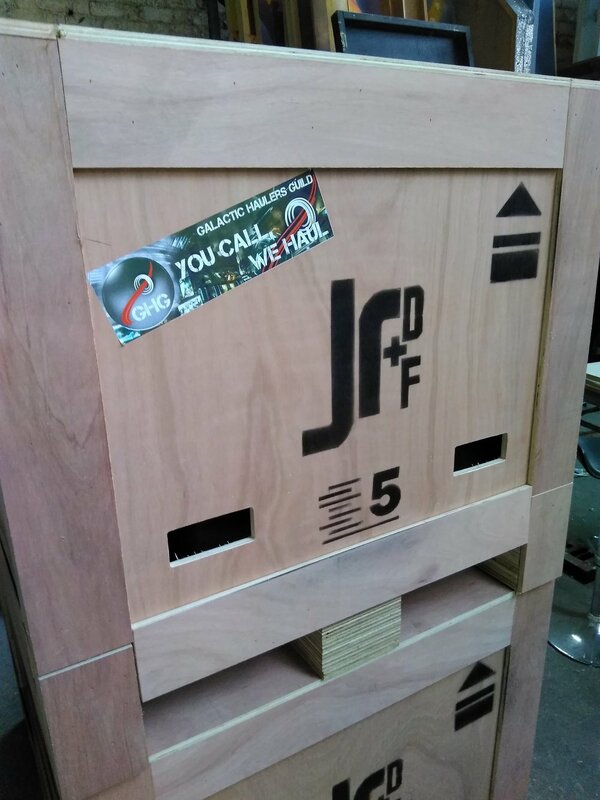 A long two days later JR and Bob arrived on stand ready to crack open the crates and put the booth together. 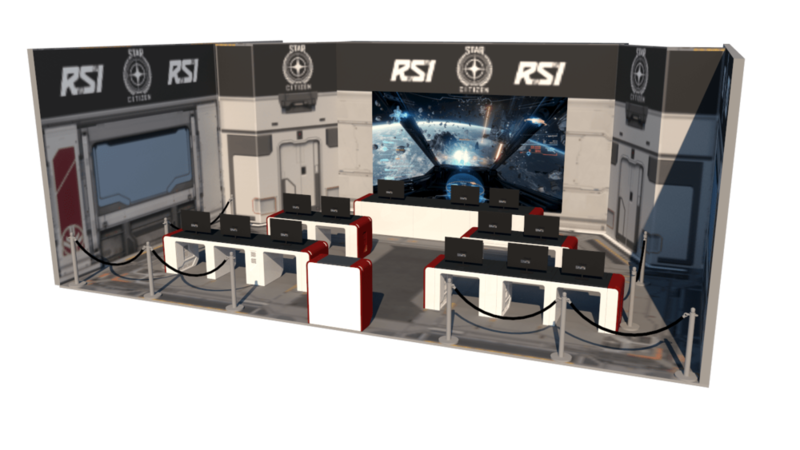 The RSI techs did an amazing job getting so many PCs set up in such a short time, and when they were all set up they really did look the part. All set up and running with the very first few gamers on stand enjoying their first ever look at 3.0! 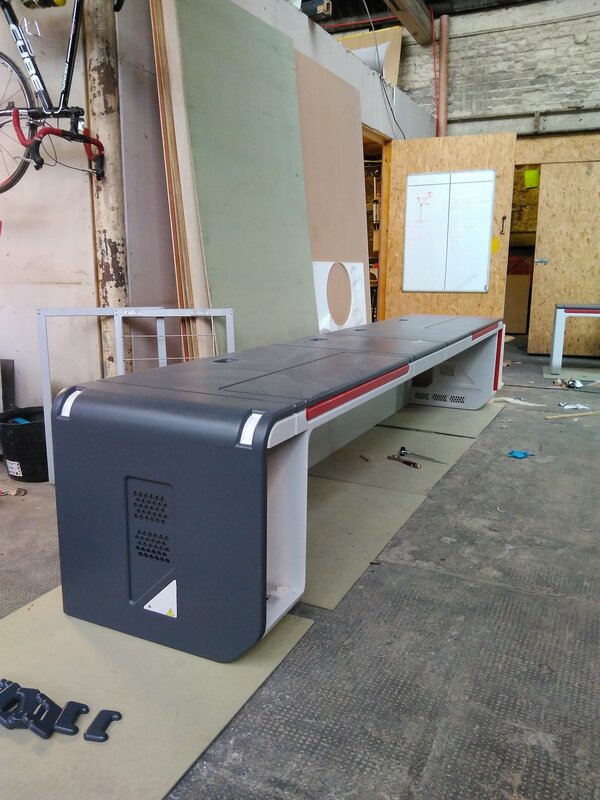 Since GamesCom these desks have been on their own journey, they came back to the Scotland only to come back out a month latrer for CitizenCon 2947, after which two double desks now reside in the Frankfurt office.